BEAUTIFUL WATER FRONT FULLY FURNISHED HOME freshly painted both inside and outside. Enjoy easy access to Tampa Bay, just by simply lowering your boat from the covered dock with a short cruise through the canal. Freshly sealed travertine paver patio with pool and spa. Enjoy the beautiful Florida weather all year long and never miss a big game with the outdoor TV and speakers. Sliding glass doors grant you access to the living room and private access to the master bedroom. Master bedroom with walk in closet, granite countertops with separate vanities, stand up shower, whirlpool tub and sitting area to enjoy the views of the water while relaxing in the comfort of your home. Formal dining room, spacious laundry room, 3 car garage and an office round out the first floor. Take the stairs to your guest 8217;s haven where they will enjoy two patios, one overlooking the golf course, the other overlooking the beautiful canal. Three bedrooms, two full bathrooms and a loft. No CCD Fee, Voluntary $100 a year HOA fee. The furniture is not included in the new price change of $640,000. 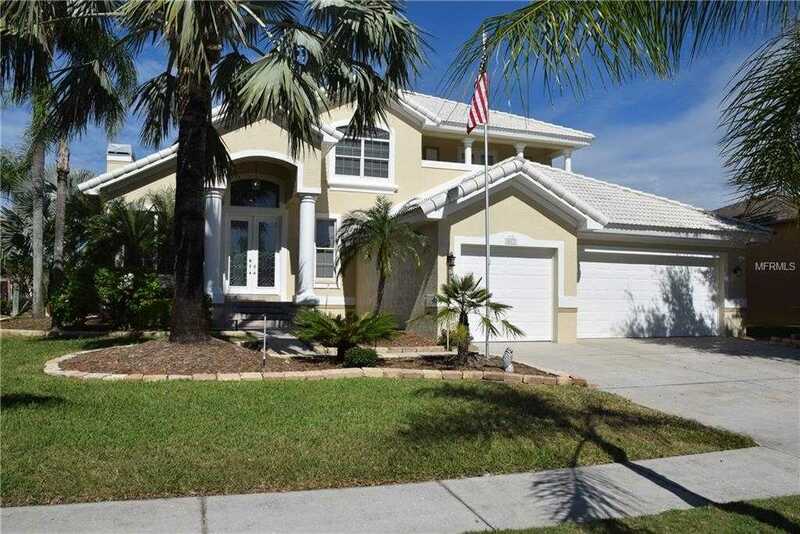 Please, send me more information on this property: MLS# T3140814 – $640,000 – 817 Bunker View Dr, Apollo Beach, FL 33572. I would like to schedule a showing appointment for this property: MLS# T3140814 – $640,000 – 817 Bunker View Dr, Apollo Beach, FL 33572.